Given the rapidly changing healthcare environment, the need for effective healthcare leaders has never been greater. An increasing number of healthcare leaders (e.g. 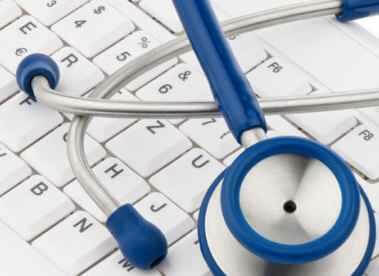 chief executive officers, chief medical officers, medical directors) are physicians. Indeed, progressively more organizations are recognizing that physicians are a valuable asset as leaders of healthcare organizations; their hands-on involvement in healthcare puts them in a unique position to translate their insights into successful healthcare management. As such, if you are a doctor thinking of a leadership position, it is a great time to pursue a career in administrative medicine. There are degree programs specifically targeted towards physicians such as the Master in Medical Management (MMM) and MBAs tailored to the needs of doctors. Aside from their special relevance to would-be physician executives, these programs tend to be significantly shorter (about 12 months) than other healthcare administration masters degrees (approximately 24 months), which make them particularly attractive to the working physician. More information on this type of degree can be found here. The MHA can be completed by all suitably qualified individuals, including physicians interested in executive roles within healthcare organizations. The MBA, of course, consists of a much more broadly based business education, which isn't necessarily healthcare specific. However, it is a popular choice among physicians and healthcare professionals alike for opening the doors to an executive career in health management. For would-be doctors who know very early on that they want to pursue an administrative career, there are many joint MD/MBA programs available. For example, The University of Boston School of Medicine offers a five-year combined MD/MBA program, designed specifically for those who plan on pursuing physician executive careers/administrative medicine positions. While gaining your business master's degree is important, it won't be enough to get you a medical director job. Experience and networking are other important factors that come into play in landing that leadership role. Prospective physician executives should aim to get volunteer leadership experience within a healthcare setting. In addition, they should plan on doing a lot of networking (e.g. forging contacts at meetings, finding mentors, presenting on various issues of interest). Gain relevant leadership experience and network. Clare Xanthos is a writer, editor and researcher residing in Marietta, GA. She holds a PhD in Social Policy from the London School of Economics, and is the author of numerous articles in the field of public health. She recently served as an editor for a groundbreaking book relating to social determinants of health. Why Choose an Accredited Healthcare Administration Program?